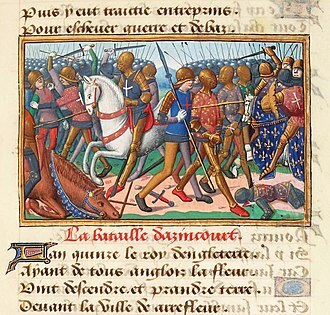 Wikimedia Commons has media related to Battles by type. Pages in category "Last stand battles"
For the similarly named battle during the Seven-Year War, see Battle of Imjin River. The Battle of the Imjin River, known as the Battles of Solma-ri or Battle of Gloster Hill in South Korea, or as Battle of Xuemali in China, took place 22–25 April 1951 during the Korean War. Troops from the Chinese Peoples Volunteer Army attacked United Nations positions on the lower Imjin River in an attempt to achieve a breakthrough, despite facing a greatly superior enemy numerically, the brigade held its general positions for three days. The stand of the Gloucestershire battalion, together with other actions of the 29th Brigade in the Battle of the Imjin River, has become an important part of British military history, the battle took place during the Chinese Spring Offensive, aimed at recapturing Seoul. In order to achieve the objective, Peng planned to converge on Seoul with the III, IX and XIX Army Groups, the XIX Army Group was positioned on the left flank of the UN line. Its 63rd and 64th Armies were to cross the Imjin on a 12-mile front, three divisions of the 63rd Army, the 187th, 188th and 189th Divisions, attacked the British 29th Infantry Brigade’s positions on the Imjin river from 22–25 April 1951. 25 miles further to the east, other Chinese forces assaulted UN forces which included the 27th British Commonwealth Brigade and that battle became known as the Battle of Kapyong. At the time of the Chinese attack, the 29th Infantry Brigade, commanded by Brigadier Tom Brodie, consisted of the 1st Battalion, The Gloucestershire Regiment, the British soldiers were a mixture of regular soldiers and conscripted National servicemen. The deployment of UN forces meant that the 29th Brigade, with its four battalions, had to cover a front of 12 miles, gaps between units had to be accepted because there was no possibility of forming a continuous line with the forces available. Their connection with the rest of the depended on two pontoon bridges about half a mile apart. These bridges connected the Belgians with Route 11, the 29th Brigade’s main line of supply and communication, the Royal Ulster Rifles served as the brigade’s reserve and were deployed along Route 11. The scattered deployment was one aspect which complicated the defense of the 29th Brigade’s position, another was the lack of heavy artillery. Fire support was provided by 45 Field Regiment, RA, equipped with 25 pounders, under the command of Lieutenant-Colonel MT Young, No heavier artillery support was available. 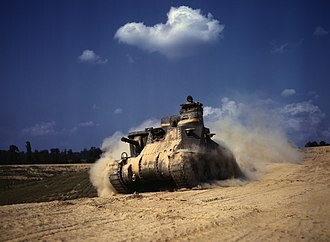 Further support was provided by Centurion tanks of C Squadron, 8th Hussars, under the command of Major Henry Huth and by 55 Squadron, defensive preparations were not carried out very extensively because the British expected to hold the position for only a short time. 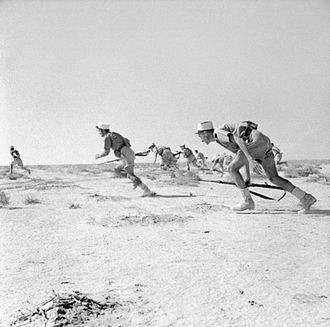 Neither minefields, deeply dug shelters nor extensive wire obstacles had been constructed, the British position on the Imjin river was deemed safe but vulnerable in case of an attack. 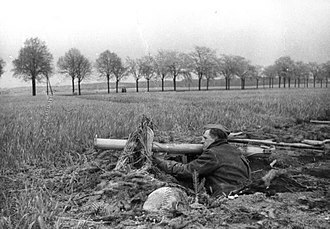 The battle opened on the night of 22 April 1951, a Chinese patrol on the north bank of the river moved around the Belgians on Hill 194 and continued to advance east towards the two bridges on which the Belgians depended. 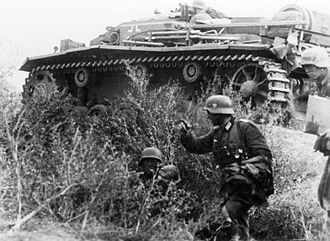 Elements of the 29th Brigade’s reserve, the 1st RUR, were deployed forward at about 10pm to secure the crossing but were engaged by Chinese forces trying to cross the river. The Shangani Patrol, comprising 34 soldiers in the service of the British South Africa Company, was ambushed and annihilated by more than 3,000 Matabele warriors during the First Matabele War in 1893. Headed by Major Allan Wilson, the patrol was attacked just north of the Shangani River in Matabeleland in Rhodesia, the patrol comprised elements of the Mashonaland Mounted Police and the Bechuanaland Border Police. 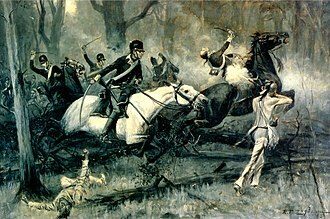 Scouting ahead of Major Patrick Forbess column attempting the capture of the Matabele King Lobengula and it moved on Lobengula the next morning, but was ambushed by a host of Matabele riflemen and warriors near the kings wagon. 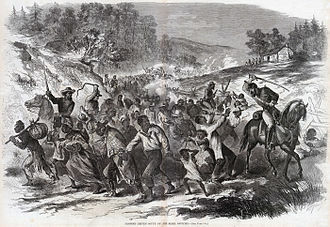 Surrounded and outnumbered about a hundred-fold, the made a last stand as three of its number broke out and rode back to the river to muster reinforcements from Forbes. However, the Shangani had risen significantly in flood, and Forbes was himself involved in a skirmish near the bank, Wilson. After fighting to the last cartridge, and killing over ten times their own number, the patrols members, particularly Wilson and Captain Henry Borrow, were elevated in death to the status of national heroes, representing endeavour in the face of insurmountable odds. The anniversary of the battle on 4 December 1893 became a public holiday in Rhodesia two years later, and was an official non-work day until 1920. 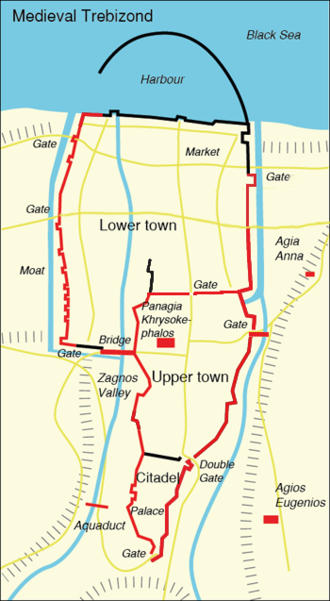 A historical war film depicting the episode, Shangani Patrol, was produced and released in 1970, on geopolitical maps, British territories were generally marked in red or pink, so this concept became known as the Cape to Cairo red line. Having secured the Rudd Concession on mining rights from King Lobengula on 30 October 1888, Rhodes, in return for these rights, the Company would govern and develop any territory it acquired, while respecting laws enacted by extant African rulers, and upholding free trade within its borders. The first settlers referred to their new home as Rhodesia, after Rhodes, though the Company made good on most of its pledges, the assent of Lobengula and other native leaders, particularly regarding mining rights, was often evaded, misrepresented or simply ignored. It offended Lobengula by demanding that he stop the customary Matabele raids on the Mashona people who inhabited the white-governed areas, angered by the Companys attitude towards his authority, Lobengula made war on the new arrivals and the Mashonas in 1893. The First Matabele War had started, Company columns rode from Fort Salisbury and Fort Victoria, and combined at Iron Mine Hill, around the centre point of the country, on 16 October 1893. 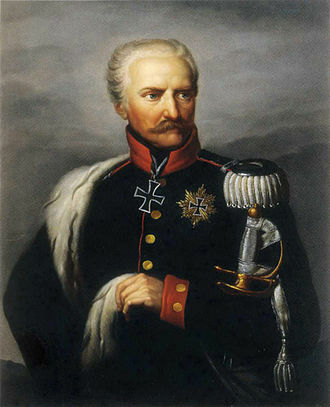 Together the force totalled about 700 men, commanded by Major Patrick Forbes, Forbess combined column moved on the Matabele kings capital at Bulawayo, to the south-west. The Matabele army mobilised to prevent Forbes from reaching the city, by the time the Matabele withdrew, they had suffered around 1,500 fatalities, the Company, on the other hand, had lost only four men. Lobengula fled Bulawayo as soon as he heard the news from Bembezi, on 3 November 1893, with the column on the outskirts of the city, he and his subjects left, torching the royal town as they went. In the resultant conflagration, the large store of ivory and other treasure was destroyed, as was its ammunition magazine. Using a tree to improvise a flagstaff, they hoisted first the Company flag, the reconstruction of Bulawayo began almost as soon as the blaze was out, with a new white-run city rising atop the ruins of Lobengulas former residence. 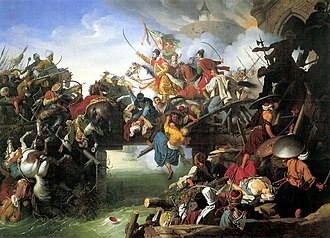 The Siege of Trebizond was the successful siege of the city of Trebizond, capital of the Empire of Trebizond, by the Ottomans under Sultan Mehmed II, which ended on 15 August 1461. 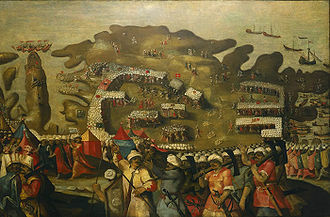 The siege was the culmination of a campaign on the Ottoman side. For the rest of the inhabitants of Trebizond, their fates were less favorable, some 800 male children became recruits for his Janissaries, the elite Ottoman military unit, which required them to convert to Islam. Only among the villages of the Maina, in the southeastern Peloponnese. The original sources differ on their explanation of Mehmeds actual motivations for attacking Trebizond, in each area they were ruled by a tekvour, a kind of independent ruler, and they gave him regular taxes and military dues. Sultan Mehmed defeated and expelled some of these tekvours and wanted to do the same with the rest, the goal was to take away from these people all sovereignty. Thus he first destroyed the tekvour of Constantinople, he was considered as the principal tekvour, on he had subdued successively the tekvours of Enos, Morea and annexed their territories to the empire. Finally the Sultans attention was drawn to the tekvour of Trebizond, by the 1450s, the Ottoman Empire either occupied or had established hegemony over much of the territories the Byzantine Empire held before the Fourth Crusade sacked Constantinople in 1204. John had happily related to the diplomat the news of the death of Sultan Murad II. 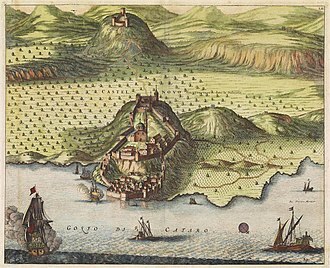 Sphrantzes, was taken aback and explained to him that Mehmeds youth and seeming friendship were only ploys, Trebizond could rely on its substantial fortifications to defend itself. 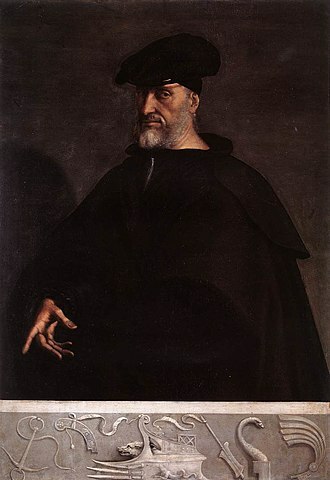 Nevertheless, John reached out to make alliances, donald Nicol lists some of them, the emirs of Sinope and Karaman, and the Christian kings of Georgia. 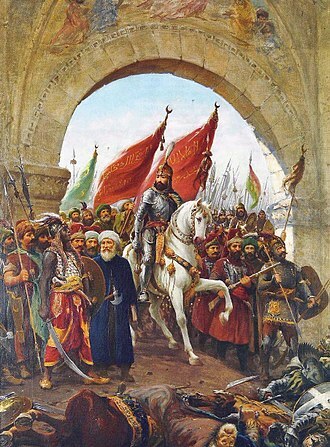 But the most powerful and reliable ally of the Emperors of Trebizond was the ruler of the Aq Qoyunlu, in 1456, Ottoman troops under Hizir Pasha assaulted Trebizond. 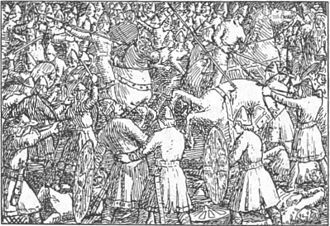 According to Laonikos Chalkokondyles, Hizir raided the countryside, even penetrating into the marketplace of Trebizond and capturing altogether about two thousand people. The Battle of Iwo Jima was a major battle in which the United States Marine Corps landed on and eventually captured the island of Iwo Jima from the Japanese Imperial Army during World War II. This five-week battle comprised some of the fiercest and bloodiest fighting of the War in the Pacific of World War II, after the heavy losses incurred in the battle, the strategic value of the island became controversial. 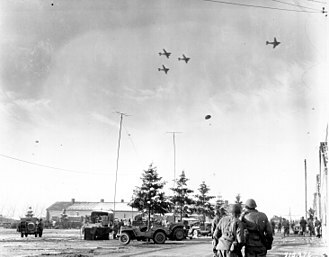 It was useless to the U. S. Army as a staging base, Navy Seabees rebuilt the landing strips, which were used as emergency landing strips for USAAF B-29s. The Imperial Japanese Army positions on the island were heavily fortified, with a network of bunkers, hidden artillery positions. 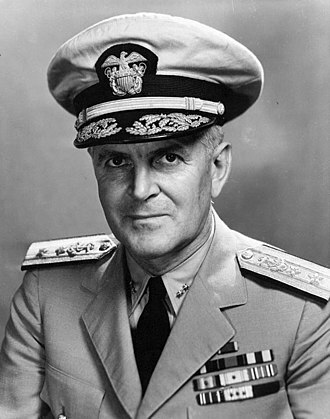 The American ground forces were supported by naval artillery, and had complete air supremacy provided by U. S. Navy. Japanese combat deaths numbered three times the number of American deaths, although uniquely among Pacific War Marine battles, American total casualties exceeded those of the Japanese. Of the 21,000 Japanese soldiers on Iwo Jima at the beginning of the battle, only 216 were taken prisoner, despite the bloody fighting and severe casualties on both sides, the Japanese defeat was assured from the start. Joe Rosenthals Associated Press photograph of the raising of the U. S. flag on top of the 169 m Mount Suribachi by six U. S, Marines became an iconic image of the battle and the American war effort in the Pacific. All indications pointed to an American drive toward the Mariana Islands, in March 1944, the Japanese 31st Army, commanded by General Hideyoshi Obata, was activated to garrison this inner line. The commander of the Japanese garrison on Chichi Jima was placed nominally in command of Army, after the American conquest of the Marianas, daily bomber raids from the Marianas hit the mainland as part of Operation Scavenger. Iwo Jima served as an early warning station that radioed reports of incoming bombers back to mainland Japan and this allowed Japanese air defenses to prepare for the arrival of American bombers. At the same time, with reinforcements arriving from Chichi Jima and the home islands, in addition, it was used by the Japanese to stage air attacks on the Mariana Islands from November 1944 through January 1945. The 1842 Kabul Retreat took place during the First Anglo-Afghan War. 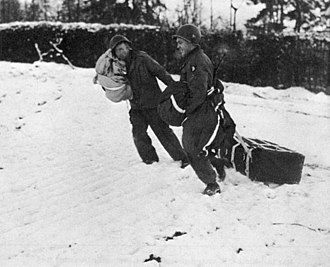 As the army and its numerous dependents and camp-followers began its march, many of the column died of exposure, frostbite or starvation or were killed during the fighting. 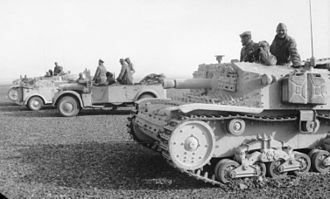 The Afghans launched numerous attacks against the column as it made progress through the winter snows of the Hindu Kush. 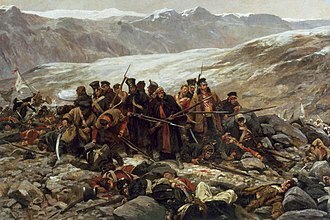 The final stand was made just outside a village called Gandamak on 13 January, out of more than 16,000 people from the column commanded by Elphinstone, only one European and a few Indian sepoys reached Jalalabad. Over one hundred British prisoners and civilian hostages were released, around 2,000 of the Indians, many of whom were maimed by frostbite and returned to Kabul to exist by begging or to be sold into slavery. Some at least returned to India after another British invasion of Kabul several months later, in 2013, a writer for The Economist called the retreat the worst British military disaster until the fall of Singapore exactly a century later. In 1838 the British East India Company feared an increased Russian influence in Afghanistan after Dost Mohammad Barakzai had seized power from former ruler Shuja Shah Durrani in 1834 and he began to assemble his forces in late 1838. 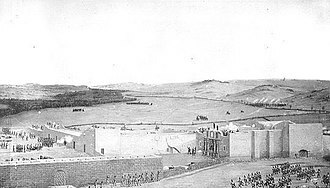 The army, under the command of General Sir Willoughby Cotton, with Macnaghten as his chief adviser, in March 1839 they crossed the Bolan Pass and began their march to Kabul. They advanced through rough terrain, crossing deserts and mountain passes at a height of 4,000 metres but made good progress, an Afghan had betrayed his sovereign and the British troops managed to blow one city gate and marched into the city in a euphoric mood. The ample supplies acquired in Ghazni considerably aided the further advance, Dost Mohammad fled and sought refuge in the wilds of the Hindu Kush. Kabul fell without a fight on 6 August 1839, Shuja Shah returned and was proclaimed emir by the British. He established a court in the fortress of Bala Hissar above Kabul, more than a year later, Dost Mohammad surrendered to Macnaghten on 4 November 1840 and was exiled to India. 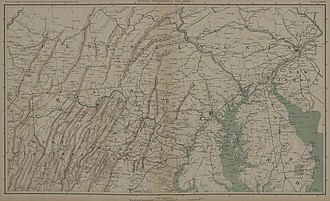 This land had been ceded to the United States in accordance with the Treaty of Paris, but the Native Americans refused to comply with the treaty and relinquish control. British army bases were maintained there to support their Native allies and this ultimately led to the American offensive and subsequent British-Indian withdrawal from the territory altogether following the Treaty of Greenville. 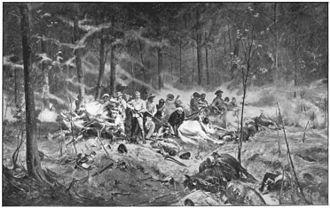 The battle, which was a victory for the United States, ended major hostilities in the region until Tecumsehs War. The Ohio River boundary line established by Britain in the 1768 Treaty of Fort Stanwix recognized certain lands as belonging to the Native American nations, the Native Americans involved rejected the idea of the British or Americans to dispose of their tribal lands without their consent. They had no representation at the Paris Treaty negotiations, had not signed the treaty, as American settlers began moving into the Ohio Country, the Native Americans viewed them as unwelcome intruders. 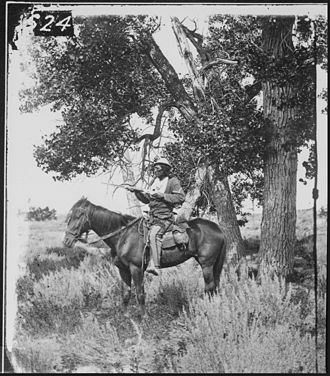 The United States government, on the hand, insisted it had the right to occupy the lands. The Western Confederacy, an alliance of Native American nations, was formed to defend their traditional lands, the confederacy achieved several victories over poorly led United States military forces in 1790 and 1791, alarming the administration of President George Washington. 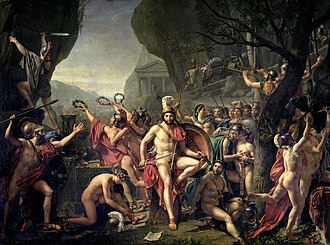 Washington understood that the settlers were to blame for much of the violence, nevertheless, he took steps to defeat the alliance as the conflict became more serious. In 1792, Washington ordered Revolutionary War hero General Mad Anthony Wayne to build, Wayne realized that the previous campaigns had failed because of poor training and a lack of discipline. 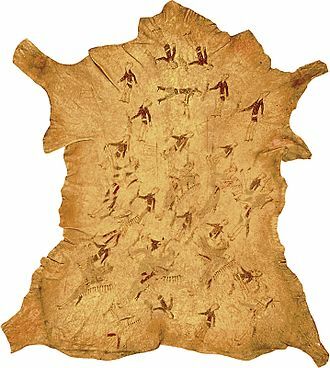 Peace negotiations were undertaken in the summer of 1793, which meant he had time to build and they rejected the subsequent treaties awarding the lands north of the Ohio River to the United States, since they had never signed them. The American government found itself fighting a war over Ohio under the direction of Secretary of War Henry Knox, matters came to a head in what became known as Little Turtles War. The Battle of Rorkes Drift, known as the Defence of Rorkes Drift, was a battle in the Anglo-Zulu War. Just over 150 British and colonial troops successfully defended the garrison against an assault by 3,000 to 4,000 Zulu warriors. The massive but piecemeal Zulu attacks on Rorkes Drift came very close to defeating the much smaller garrison but were ultimately repelled, eleven Victoria Crosses were awarded to the defenders, along with a number of other decorations and honours. Rorkes Drift, known as kwaJimu in the Zulu language, was a station and the former trading post of James Rorke. It was located near a drift, or ford, on the Buffalo River, on 9 January 1879, the British No.3 Column, under Lord Chelmsford and encamped at the drift. On 11 January, the day after the British ultimatum to the Zulus expired, on 20 January, after reconnaissance patrolling and building of a track for its wagons, Chelmsfords column marched to Isandlwana, approximately 6 miles to the east, leaving behind the small garrison. A large company of the 2nd/3rd Natal Native Contingent under Captain William Stevenson was ordered to remain at the post to strengthen the garrison and this company numbered between 100 and 350 men. Sometime around noon on the 22nd, Major Spalding left the station for Helpmekaar to ascertain the whereabouts of Rainforths G Company and he left Chard in temporary command. Chard rode down to the drift itself where the camp was located. Once the British officers decided to stay and Bromhead directed their men to make preparations to defend the station, with the garrisons some 400 men working quickly, a defensive perimeter was constructed out of mealie bags. This perimeter incorporated the storehouse, the hospital, and a stone kraal. The buildings were fortified, with loopholes knocked through the external walls, at about 3,30 pm, a mixed troop of about 100 Natal Native Horse under Lieutenant Alfred Henderson arrived at the station after having retreated in good order from Isandlwana. 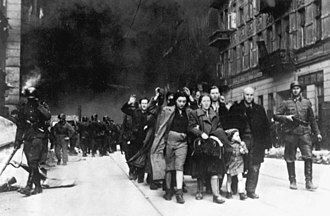 They volunteered to picket the far side of the Oscarberg, the hill that overlooked the station. The Siege of Baler was a battle of the Philippine Revolution and concurrently the Spanish–American War and the Philippine–American War. Filipino revolutionaries laid siege to a fortified church manned by colonial Spanish troops in the town of Baler, Philippines for 11 months, the battle is considered part of the Spanish–American War since the Filipinos were allied with the United States at the outset. 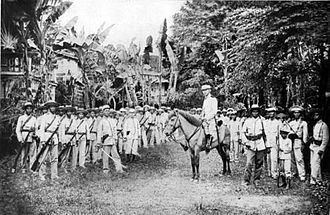 That war ended in December 1898 with Spains surrender and annexation of the Philippines to the United States, cut off from communications with their own government and military, the Spanish forces continued their defense against the Filipino forces until 1899. Baler, Aurora located on the eastern coast of Luzon, is some 225 kilometers distant from the Philippine capital city of Manila, the Philippine Revolution against Spanish colonial rule started 1896. The Spanish garrisoned Baler, in Sept.1897, with fifty cazadores under Lt. Jose Mota, motas forces were attacked on the night of 4 Oct. by Novicios men, killing Lt.
Mota and six other Spaniards, wounding several and capturing 30 Mauser rifles. The initial phase of the Philippine Revolution ended with a truce in 1897, during this phase of the revolution, the Philippines was involved in the Spanish-American War, and the Filipino rebels allied themselves with the American forces. This alliance would end with the outbreak of the Philippine-American War in 1899. On June 1,1898, Morenas began work to dig a well, stock food supplies and ammunition, the church was the only stone building in the area. 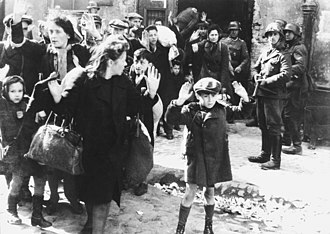 On June 26, it was noticed that the residents were leaving. On the night of the 30th,800 Filipino troops under Teodorico Luna attacked, the town priest, Candido Gómez Carreño, quartered himself in the church. 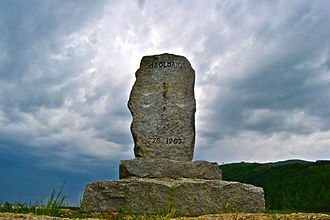 The first few days of the siege saw several attempts by the Filipinos to get the Spanish to surrender by leaving letters, on July 8 the Revolutionary Commander, Cirilo Gómez Ortiz, offered a suspension of hostilities until nightfall, which was accepted. On July 18, Calixto Villacorta took command of the Filipinos and he sent a warning letter, which was rebuffed. Adobe Walls battlefield looking southeast from Billy Dixon's grave. 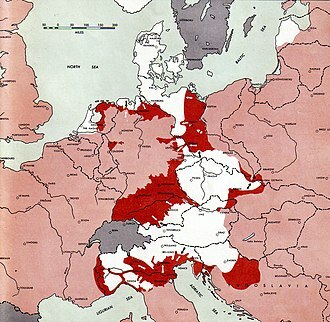 The deployment of UN forces during the initial stages of the Spring Offensive. Note the importance of 29th Brigade's position for stopping a direct advance on Seoul. 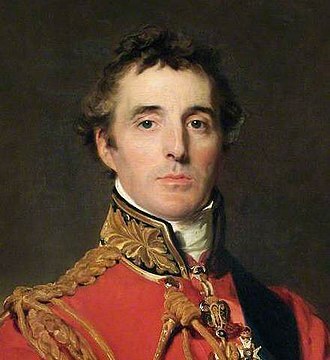 General William Elphinstone; he was ill when he was given command of British forces in Afghanistan in 1841. Wazir Akbar Khan, son of deposed Afghan leader, Dost Mohammad Barakzai. The Grove and Valley of Jugdulluk where Elphinstone's Army made its last stand in the calamitous retreat; January 1842. As drawn on the spot by James Rattray. Destroyers of Taffy 3 making smoke under fire. St. Lo explodes after kamikaze strike. A Boxer arrayed in his finery. Most were armed only with spears and swords. Frank Gamewell (second from left, standing) and the "Fighting Parsons" built fortifications to protect the British Legation from Chinese attacks.